The iconic bicep-flexing poster image of "Rosie the Riveter" has long conveyed the impression that women were welcomed into the World War II work force and admired for helping "free a man to fight." 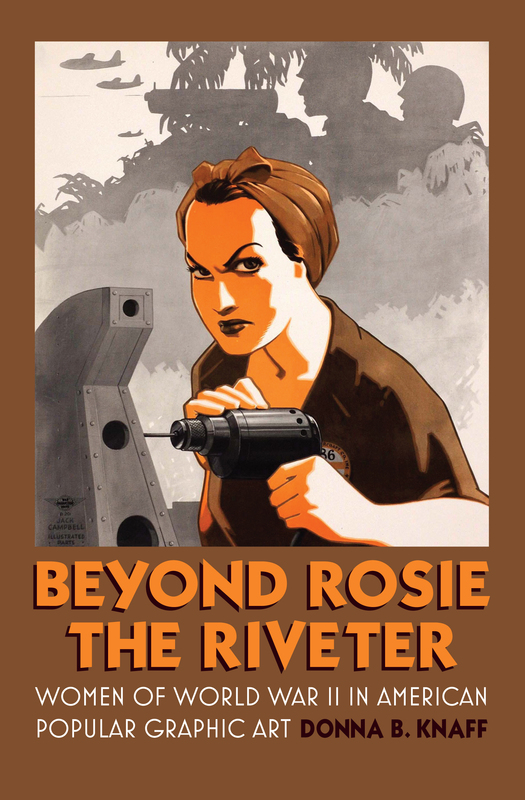 Donna Knaff, however, shows that "Rosie" only revealed part of the reality and that women depicted in other World War II visual art—both in the private sector and the military—reflected decidedly mixed feelings about the status of women within American society. Especially through its focus on visual arts, Knaff's book gives us a new look at American society decades before the modern women's rights movement, torn between wartime needs and antiquated gender roles. It provides much-needed nuance to a glossed-over chapter in our history, charting the difficult negotiations that granted—and ultimately took back—American women's wartime freedoms. Donna Knaff is aWorld War IIhistorianat the Joint POW/MIA Accounting Command and is also former Chief Historian at the Women In Military Service For America Memorial at Arlington National Cemetery. She lives in Honolulu, Hawaii.